Fig. 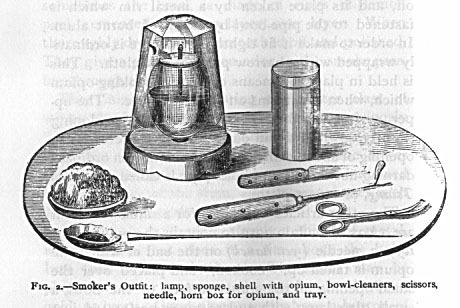 1.- Smoker's Outfit: lamp, sponge, shell with opium, bowl-cleaners, sicissors, neddle, horn box for opium, and tray. 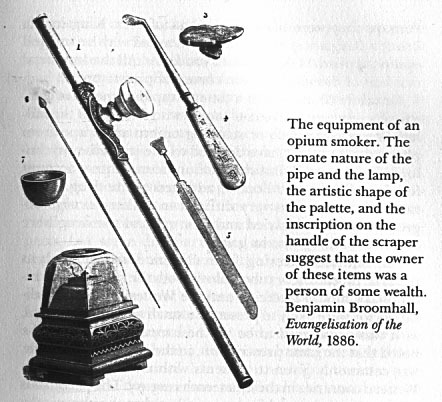 The equipment of an opium smoker. The ornate nature of the pipe and the lamp, the artistic shape of the palette, and the inscription on the handle of the scraper suggest that the owner of these items was a person of some wealth. Benjamin Broomhall, Evangelistation of the World, 1886. 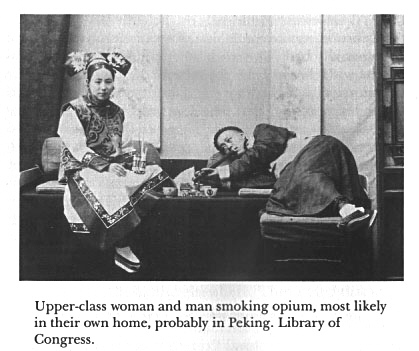 Upper-class woman and man smoking opium, most likely in their won home, probably in Peking. 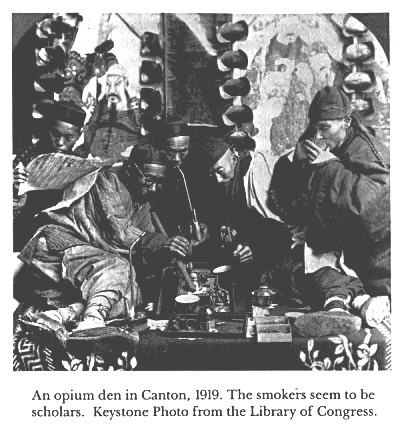 An opium den in Canton, 1919. The smokers seem to be scholars. 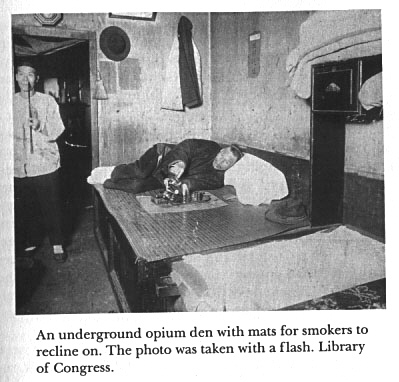 An underground opium den with mats for smokers to recline on.